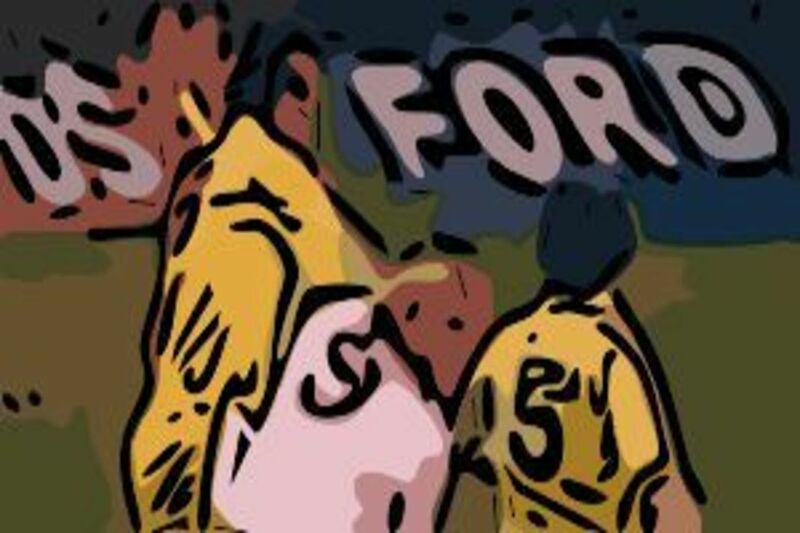 Football hardmen and accompanying fisticuffs – don’t you just miss them? We have all witnessed things on the pitch that have invariably been accompanied by a commentator’s faux –outrage declaring; “These are just the kind of scenes we DON’T want to see on the pitch,” and then thought the exact opposite. “Oh yes we do, matey. These are exactly the scenes we want to see and more of them, please”. I’m talking, of course, of on-field scraps and good old-fashioned hard-men. The sanitising of football over the past two decades or so has seen many changes in football. A lot of these changes it has to be said, have been for the better. For instance, as much as we might bemoan the loss of iconic stadia and the springing-up of identikit matchbox bowls in their stead, only a fool would argue that the latter were more comfortable or safer. Who misses having to turn up at a ground two or more hours prior to kick-off in order to get a decent spot to stand in the pouring rain on a dangerously packed terrace? Not I, that’s for sure. Likewise the near-eradication of hooliganism and racism within British stadia can only be highlighted as good things. Nobody would ever advocate a return to the dark old days of the nineteen seventies to nineteen nineties in these regards, I am sure. However. I do miss the traditional punch up! Although there is still the occasional skirmish on the field, these days such comings together tend to be very much of the handbags variety. Even when matters threaten to kick-off and get interesting with what the media invariably hype-up as a ‘mass brawl’, the reality is usually something much lamer. Rather than racing sixty metres to join in the fun and land one on the nose of an opponent, players these days are more likely to run all that way in order to pull a team mate away. No doubt spouting the refrain: “Leave it. It’s not worth it,” or something similar as they do so. Perhaps one of the last really decent punch-ups on the pitch took place between members of the same team. Back in 2005 Newcastle were in the midst of a three-goal home drubbing by Aston Villa and had already been reduced to ten men thanks to the dismissal of Steven Taylor. With but a few minutes remaining and Villa running down the clock, Keiron Dyer came to the perhaps understandable reasoning that he didn’t wish to pass to teammate, Lee Bowyer. Bowyer, however, was not amused and took it upon himself to go into Barry McGuigan mode (kids, ask your dads) and exploded with a quick one-two in Dyer’s direction. Before he had time to do anymore damage, Bowyer was dragged away by Villa’s Gareth’ Leave it Lee’ Barry, and the referee bounded over to show both players the red card. Anyway. While that sort of scene was not exactly common-place in days gone by, fights amongst opponents were a little more regular. Leeds and Leeds and Leeds and Leeds and…. Readers of a certain vintage can no doubt remember the infamous Liverpool – Leeds Charity Shield of 1974. This was when Brian Clough’s first game in charge of Leeds was decorated by his team’s insistence on attempting to knock Kevin Keegan into the middle of the following week. First Johnny Giles and then Billy Bremner had separate swings at him that sent him to the ground not once but twice in the space of ninety seconds. These were proper haymakers, and not the: “Oh, he’s raised his hands. He has to go,” variety we are all too familiar with nowadays. After successfully arguing with the referee that Giles should be reprieved and not sent off in the first incident, Keegan got on with the game. He then cheerily crashed into Bremner, got sparked out for the second time in a minute and a half, was shown the red card and promptly banned for eight weeks! The other classic 1970’s set-to that is remembered and talked about to this day also invariably involved Leeds. They were certainly a tough team back then. Away to Derby County in the 1975-76 season a bad-tempered game was being played out on a traditional cow-pat of a football field. Into the second half and with play stopped in the Leeds penalty area, something was said off-the-ball. Norman Hunter and Franny Lee, who’d been at each other’s throats all match, got into things in a proper way. Lee charged towards Hunter who stood his ground and delivered a sharp right that stopped Lee in his tracks but didn’t put him down. The ref came over and tut-tutted before sending them both off and then turning his back on the pair of them as they trudged towards the sideline. Not wanting to let a good thing die, Lee took up the cudgels and came flying at the larger, heavier Hunter. Connecting with at least three ‘rights’ and one ‘left’ he succeeded in dropping the Leeds man. Incidentally, that Leeds team was judged by many to be just about the hardest – some would say dirtiest – in English football history. Although it was the norm for a team to have at least one recognised ‘hard man’ in their ranks, Leeds under Don Revie had anything up to seven or eight on the pitch at any one time (it should be stated, however, that Revie had moved into the England job by the time of the infamous Derby – Leeds match). As well as Hunter, Bremner and Giles, Leeds at the time also employed such luminaries as Terry Yorath, Allan Clarke and, a bit earlier, Jack Charlton. None of whom could accurately be described as shrinking violets. Yes, it was the era of the ‘hard-man’. This was a time when it was compulsory for almost every side to engage a player whose job it was to simply stop the opposition from playing. If this involved the taking out of the opposition’s star or most dangerous player in the opening minutes, then so be it. This was a tactic that was employed well into the nineties when the rules on tackling from behind were thankfully tightened up on. Some players, it should be said were, in fact, harder or dirtier than others in this period. If we look back to the ‘sixties and ‘seventies, we find ourselves looking into the so-called Golden Era of Hardmen. This is the epoch of players such as Ron ‘Chopper’ Harris, Norman ‘Bite your Legs’ Hunter, and Tommy ‘No nickname but was really hard’ Smith. These players ruled by fear and legend has it they would rely on intimidation tactics and verbals even before the game kicked off. Once battle commenced, the first tackle was seen as a ‘free one’ with the referees of the time usually loath to take any unduly strict action early in the game. Such a lax attitude would invariably result in such players coming through the back of their direct opponent early doors, safe in the knowledge that the most they would receive would be a mild ticking off. These players knew how to play the game in more than one sense of the phrase, and in actual fact their disciplinary records were often very mild. A glance at the record of Tommy Smith, for example, shows that he was only ever sent off once in sixteen years at Liverpool, and that was by our old friend Clive Thomas for dissent. One of the hardest players of not just the sixties and seventies was Dave ‘No nickname needed’ Mackay. Now, this was a true legend. Not one for the ‘If you go past me, I’ll break your leg’ platitudes, this was a man who didn’t say. He just did. Possibly the most iconic footballing picture ever shows him grabbing Billy Bremner by the shirt and threatening to knock his lights out there and then in retaliation for a typical over-the-top challenge from the diminutive Scotsman. Bremner, for his part, has his arms spread wide in a ‘What me? What did I do?’ manner, but it’s clear that Mackay is not buying it and is on the verge of nuclear explosion. Into the ‘eighties and the seemingly endless need for a midfield enforcer showed no sign of abating. Some notable luminaries during this time included Graeme Souness and later Steve McMahon at Liverpool, Peter Reid at Everton, Paul Miller and Graham Roberts at Spurs, and the trio of Bryan Robson, Remi Moses and Norman Whiteside at Manchester United. Similar to Dave Mackay, Peter Reid was another who was tough enough to be able to walk-the-walk without finding the need to particularly talk-the-talk, too. He just got on with the game and the effort of imposing himself on it. I guess in football as in other walks of life, the old maxim that ‘It’s the quiet ones you have to watch’ runs true. Vinnie Jones, on the other hand, was never short of a word or two. The life and times of Mr. Jones have been chronicled elsewhere, suffice to say here he perhaps cultivated an image of hardness that he benefited from both on and off the field. There is no doubting that at times he crossed the boundaries into pure thuggery, but in the main there was a reputation that he felt he needed to live up to and ordinarily a few well-chosen threats and snarls were enough to put the majority of players off their games. It is telling though, that he never dared venture near the Manchester United trio of Moses, Robson and Whiteside. Steve McMahon, in my opinion, fell into the category of ‘Wannabe Hardman’. Sure, he could tackle and he could leave his foot in, but for me he went missing in too many games against absolute top-notch opponents. He had some battles with Peter Reid in Merseyside derbies it’s true, and he had a few run-ins with Vinnie, but for me he never impressed in matches against Souness, Whiteside or Robson. So, in general what was the role and effect of such a player? Souness, for example, could be a beast on the field. He was a great player, no doubt, but the question is: would he have been even better had he concentrated more on orchestrating the midfield and less on attempting to maim the opposition? The other side of the coin, of course, is the argument that his, shall we say, aggressive side is what made him such a great player in the first place, and if that side of his game had been curtailed then maybe he would not have had such an effect on the field. Added into the equation is the question of whether or not such play or demeanour actually bore much effect anyway. The fact that most sides employed such characters might lead to the conclusion that they all pretty much cancelled each other out and the true footballers with the real skill found a way of shining through regardless.